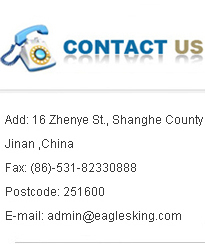 Jinan Renz hardware manufacture co.LTD. Jinan Renz hardware manufacture co.LTD.（Jinan Eaglesking Metal Products Co.ltd ）is a large manufacture ,international trading group which consist of 6 manufacture that produce the hardware metal products, building material, garden products, agriculture and industrial products, traffic products, part of machine products and plastic products and more than 20 cooperation partner manufacture. We established on year 1970 and our main market is Europe, America, Australia and New Zealand , and also some part of market for Africa ,middle and southeast Asia countries and area. Our annual sales amount is more than a hundred million USD one year. CITY,Shandong province which is very convenient transportation since it is near international airport and High speed railway from Beijing to Shanghai and it is 360km to Beijing , 300km to Qingdao, 700km to Shanghai. We will always supply excellent quality products and service and reasonable price. We will always open arms to welcome any people to come to visit our company and discuss business.